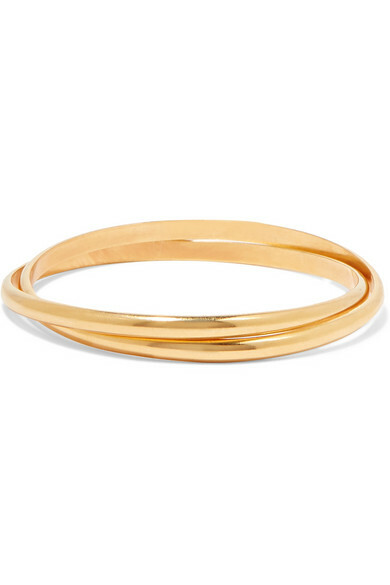 The best thing about Sophie Buhai's interlocked bangle is that you can wear it every day - the slim shape means it'll sit neatly against your watch or other cuffs. 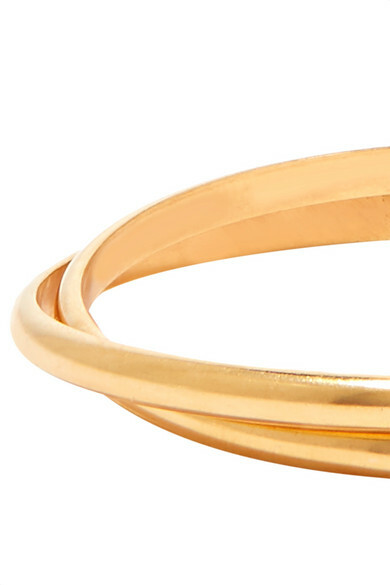 The gold vermeil is polished for a high-shine finish. 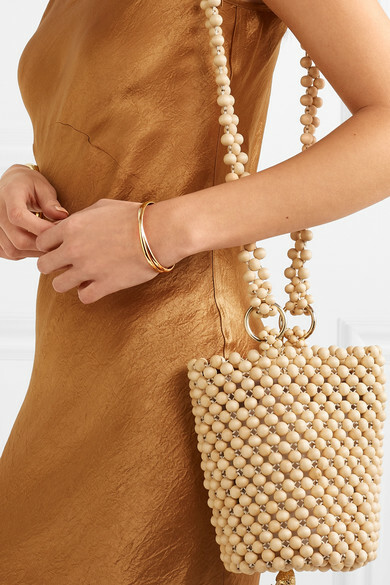 Shown here with: Rosantica Bucket bag, Georgia Alice Dress.